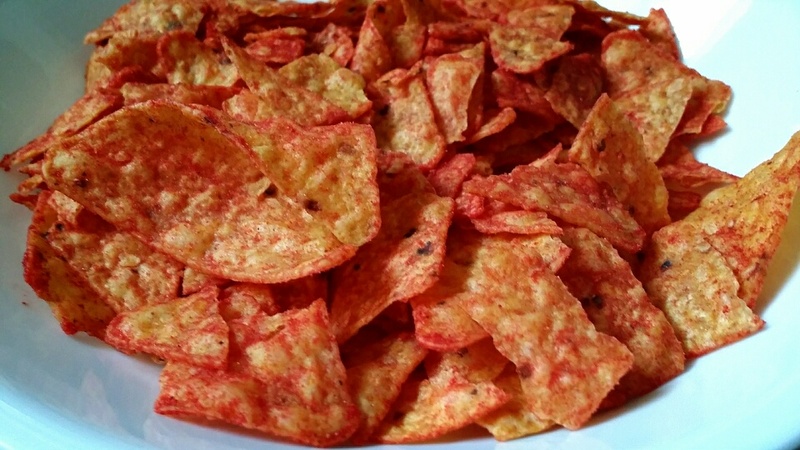 My boyfriend happened to surprised me with a bag of Dorito’s Ketchup chips the other day. I have been meaning to buy this for awhile now, but I held back since my junk food stash at home keeps mounting! A part of me does feel guilty that I am not really maintaining a healthy diet like I said I would, but it is what it is. This product can be found at Superstore and probably most other grocery stores. It retails for about $3.50 for a 245g bag. 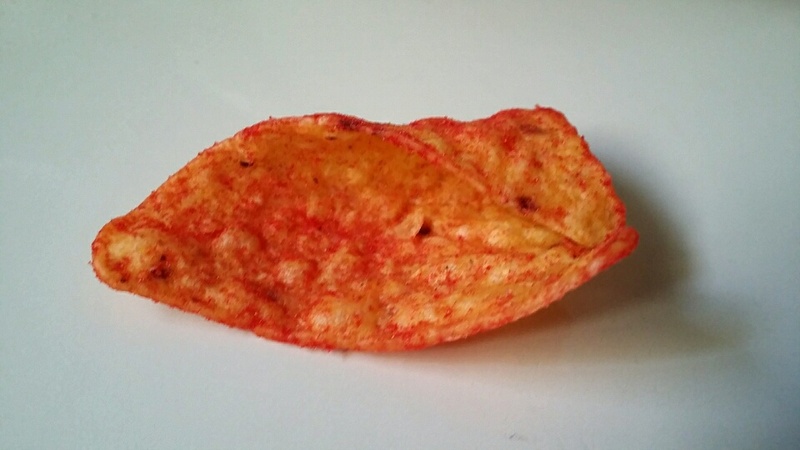 Coming from a chip lover, I did not find this bag of chips to be extraordinary “special”. 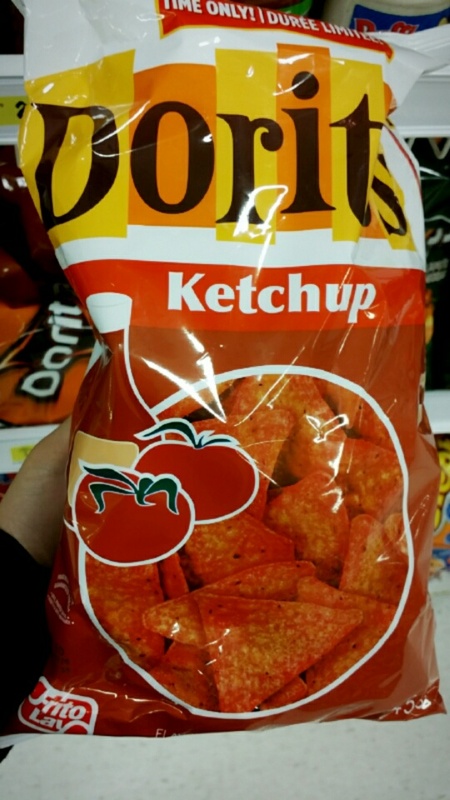 If anything, I would say it was rather disappointing as the ketchup flavor was lacking and there just was not enough crunch to the chips. What is worse was that half the time I was picking at crumbs! For the price paid, I was hoping I would get more than this. To be honest, if any of you do not get your hands on this, do not fret because you are definitely not missing out on anything. I would be happier and satisfied eating a bag of Lay’s Ketchup chips than this. ← My Verdict on this Food Product.